One of the most common joints to suffer injuries is the knee. With the constant strain on knees for climbing, bending, squatting and overall mobility, injuries can occur. Plus, knee joints are also susceptible to degenerative diseases like arthritis, resulting in pain, inflammation and limited mobility. Dr. Kerisimasi Reynolds offers many orthopedic treatments for knee conditions to help our patients retain their mobility. The knee joint is complex, with various tendons, ligaments, bones, muscles and cartilage involved to allow it to bend and twist as needed. It also must support the weight of the body as it moves in different directions. Almost anyone can injure a knee, especially as they age, but knee injuries are especially common in athletes. Dr. Reynolds specializes in treating orthopedic sports injuries and has years of experience treating professional athletes with knee problems. 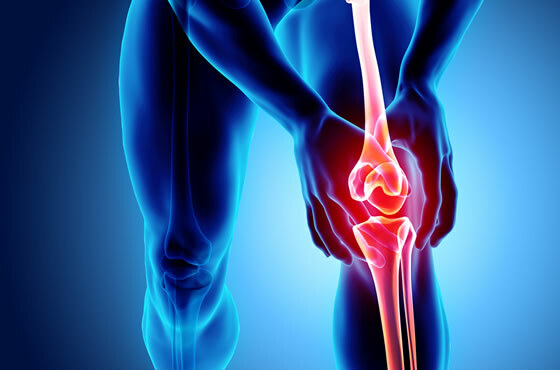 If you are suffering with a painful knee condition or have limited mobility due to a knee problem, contact the office of Dr. Reynolds to schedule an exam and evaluation. We accept many forms of insurance at our clinic for your convenience.